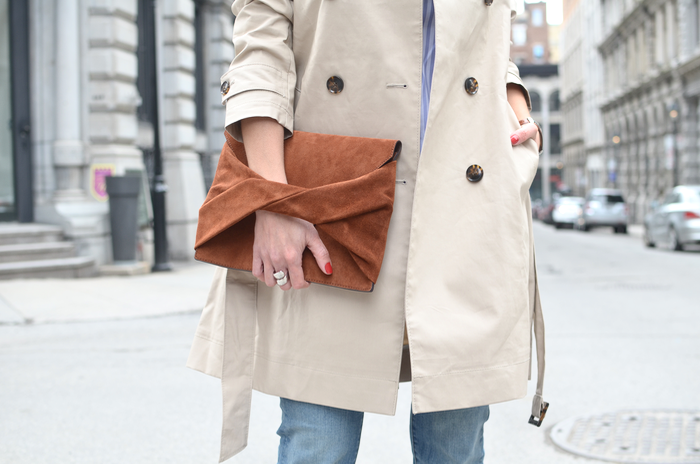 Definitely a trench coat is a key piece to have for Spring. It protects you on rainy days and gives a touch of elegance to your outfits. You can just add a pair of jeans, a nice shirt and, depending on the occasion, high heels or sneakers. I always think about Banana Republic when looking for my Spring outfits. I've always loved the brand and I actually worked for them for some time here in Canada. I remember that I used to spend almost my whole pay check on new collections. I personally like Banana Republic classic and chic style and now that Olivia Palermo have joined the BR team as their global style ambassador I love it even more! They offer versatile clothes that have that contemporary edge that I'm always looking for. As Banana Republic says: Through thoughtful design, we create clothing and accessories with detailed craftsmanship in luxurious materials. 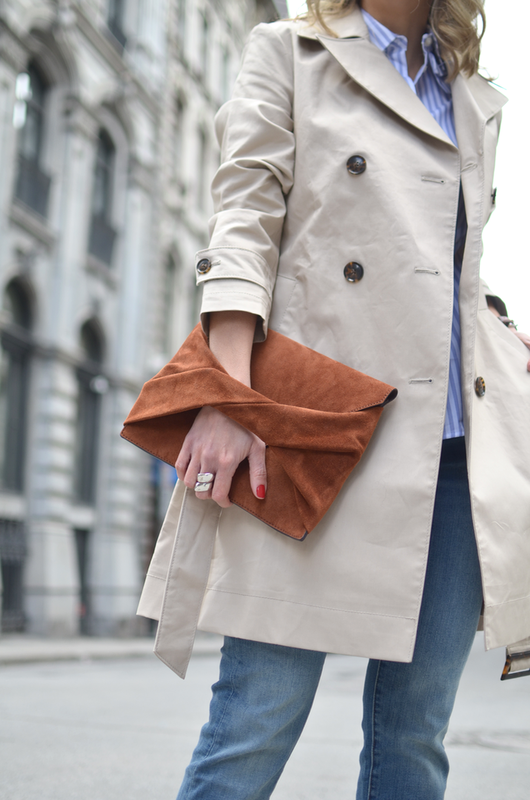 Banana Republic trench coat, girlfriend jean, stripe ruffle blouse, and suede clutch.